I first brought Brian here in April of 1999 to play with Brad, André and Dylan van der Schyff just before I bought The Cellar. Lynch was thoroughly impressed with the trio and expressed an interest in coming back. He did in fact come back the following year to play with the Mike Allen Trio one night and Brad the next, only this time with Bernie Arai on drums. The music was incredible but unfortunately the crowd was not. A timing error my part was the reason for the light attendance. As Turner was tearing it up on piano, Lynch got my attention and in my ear whispered, “Hey man, that’s a funky shirt you’re wearing. You may as well give it to me seeing as you’re losing it anyways.” I knew at that point that we would be friends for life. Another year or so passed and as Lynch was figuring out his next trip out west, he stumbled across Cellar Live and started inquiring about the possibility of doing a record. The thought of that was very exciting to me. Lynch’s last record “Tribute To The Trumpet Masters” received rave reviews & adding another internationally known musician to the Cellar Live roster was a chance that I didn’t want to pass up. 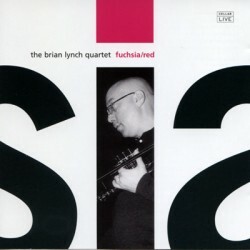 The neat thing about this record is that all the material heard here was specifically written and arranged for this session and Lynch was genuinely excited to play with the trio and so he should be. In my estimation it doesn’t get any better than these guys. Turner has a truly unique touch on the Fender Rhodes, Lachance once again provides rock solid support & Bernie Arai continues to amaze. The record turned out fabulous and is yet another great addition to the Cellar Live catalog. I had a blast making this record. My first time on my own for a live recording date, so I had to put the perfectionistic “fourth take mentality” aside and the performances turned out strong and fresh. I finally have documented my love for what I call “electro-mechanical” music – electric music with a lot of funky moving parts, like valves, wah-wah pedals, and the tines of the beloved Rhodes. The challenge of putting a new book of music together (two older tunes, three written the week before, a brand new arrangement of a Björk tune, and a shortie improvised on the spot) and playing with a new band kept it exciting. And the band! I’m happy to have hooked up with them, indeed, and expect to be doing quite a bit more with them in the future. Brad is a monster on the Rhodes – one of the most talented musicians I’ve ever come across… on all his axes. André and Bernie are also two bad dudes; inventive, fresh, groovin’, loose, MUSICAL! That’s what I like. And I think you’re going to dig this new side of Lynch, too. Come on in. All praises due to the grand poobah of Da Cellar, the magnificent Cory Weeds! Cory, thanks for the opportunity, the belief, and the support.